Any employee in an organization need to go through a self assessment form to gain an understanding about the key skills and behaviors that represent the job profile of the employee as discussed and established by the manager. The employee is required to evaluate him or herself on his key skills and behavior in the office with the peers. The manager finally provides an overall brief summary of staff member’s performance based on the assessment and the performance of the individual. If the performance is not considered satisfactory then it is supposed to be addressed in the development plan section of the form. 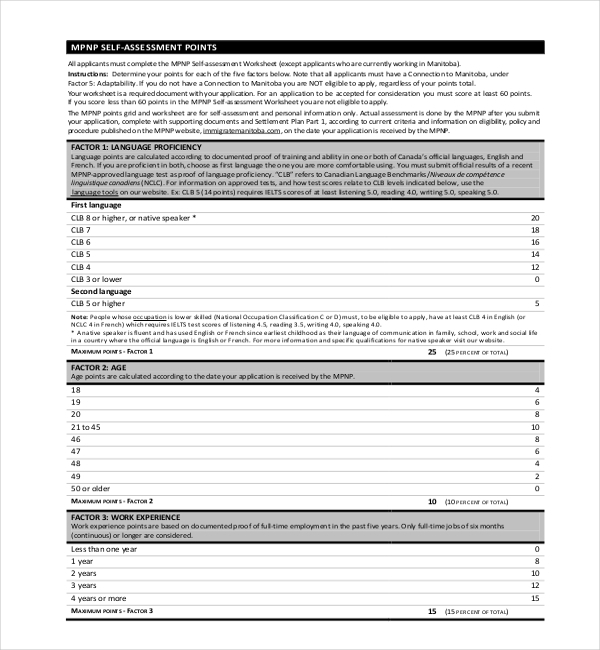 The student self assessment form is an important tool to assess and collect data on the strength, preferences, interests and needs of the students. This assessment helps to evaluate the current working, educational, personal and social environment need of the student. The form also helps to determine the post secondary goals related to education, training, employment or independent living skills. The form can be of great help in estimating the co curricular interests of students, who are spending most of their time in classes. 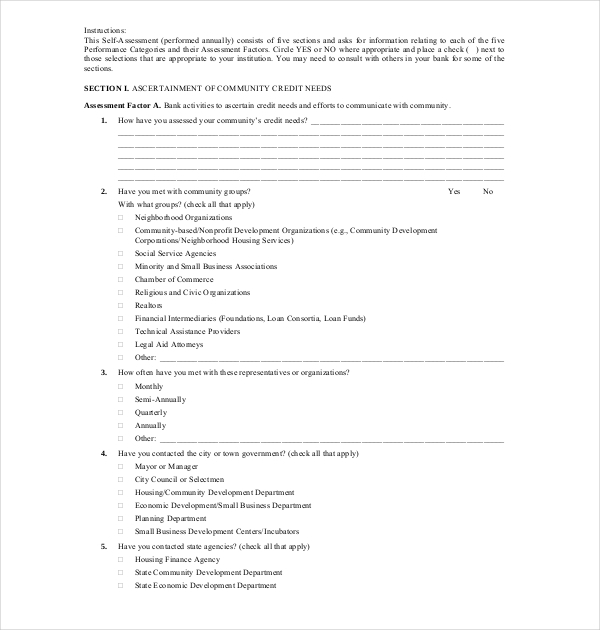 Self assessment form helps to determine whether the employees or the board members are aware of the responsibilities and mission of the organization. The form evaluates whether the board members are aware about their area of work and can communicate effectively about the work in and outside of the organization. The form even delves with the sense of accomplishment and quality of the work being experienced by the individuals. The tabulation helps to determine the areas where the individual needs to be encouraged for meeting the targets along with measuring the amount of satisfaction he or she receives with daily work. 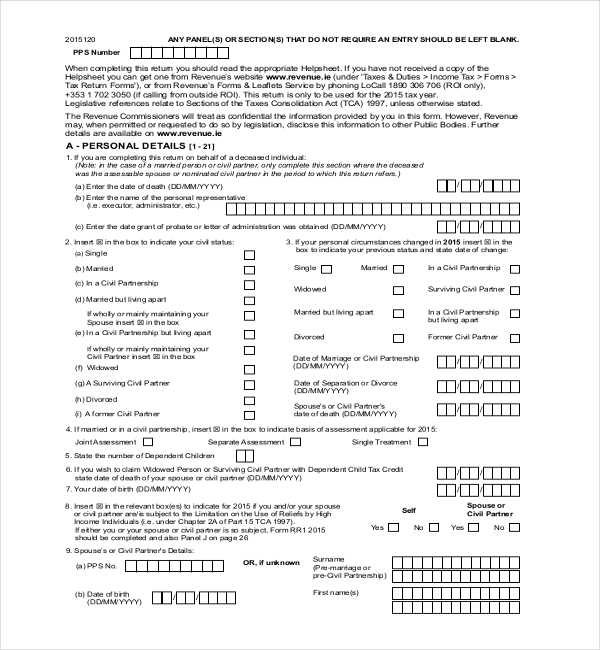 The CRA self assessment form consists of different categories and has detailed questions pertaining to the assessment factor under each category. Individual is required to circle yes or no where appropriate and tick next to the sections related to your institution. Generally the categories are as follow: ascertaining the community credit needs, marketing and types of credit extended, community development, record of opening and closing offices and the discrimination and other illegal credit practices category. Income tax self assessment form allows you to file and pay tax dues electronically. 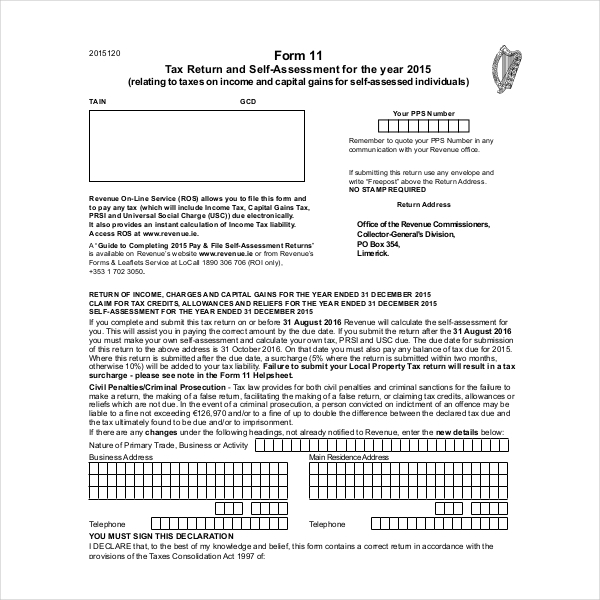 The form helps to provide an instant calculation of Income Tax liability. If you submit the form before the due date, revenue will calculate the self assessment for you. If you file the return after the due date you are required to calculate your own tax and make your own self assessment. 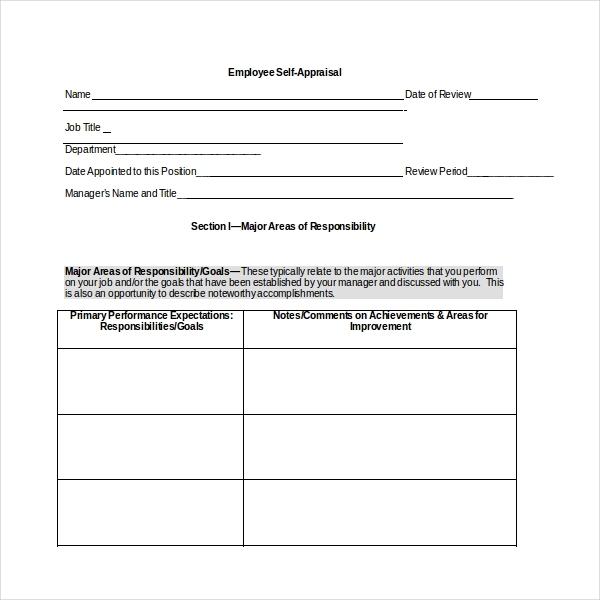 Job self assessment form deals with performance of the employees in the organization. The members are supposed to detail their major achievements, job duties, behavior and outcome during the past year in the organization. The form also entails the opportunities for the members or employees to enlist the additional skills or knowledge that would help them perform better in the office. The applicants who are planning to work in Manitoba, the Manitoba self assessment form determines 5 factors required to be filled by the individual. The applicant will be considered if he or she scores minimum 60 points in the self assessment worksheet. The 5 factors in the form include- language proficiency, age, work experience, education and adaptability. 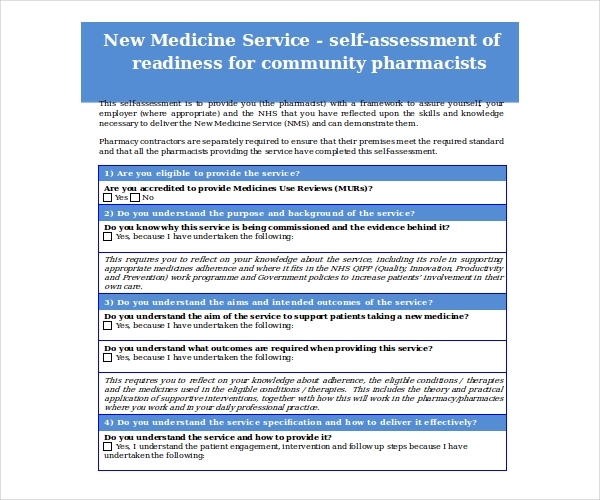 New medicine service self assessment form provides a framework to assure yourself and your employer that you have the knowledge and skills necessary to deliver the new medicine service. The pharmacy contractors are required to ensure that their premises meet the standards and all the pharmacists under them have completed self assessment form. 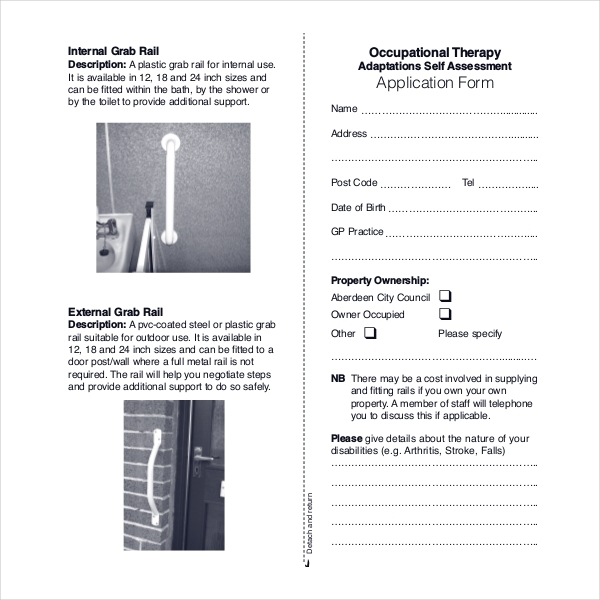 The occupational self assessment form provides the employee the opportunity to identify and monitor their participation in the important discourses related to the work. The self assessment helps to choose and make the small modifications without the need of complete formal assessment. 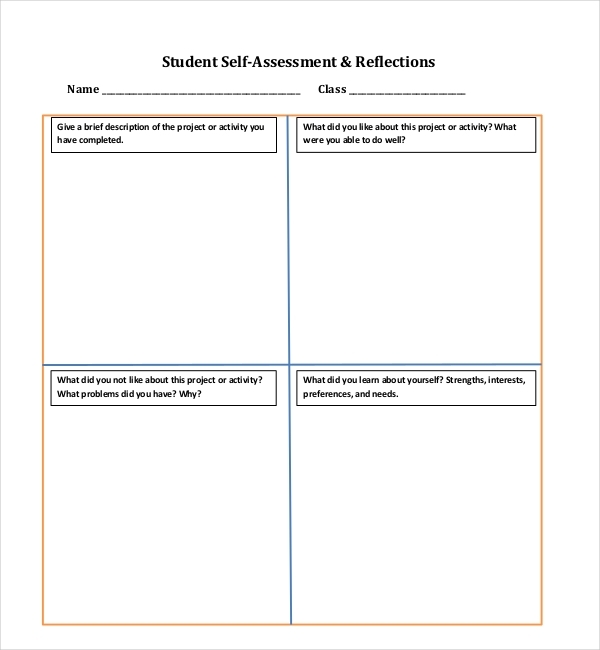 What Should go in Self Assessment Form? 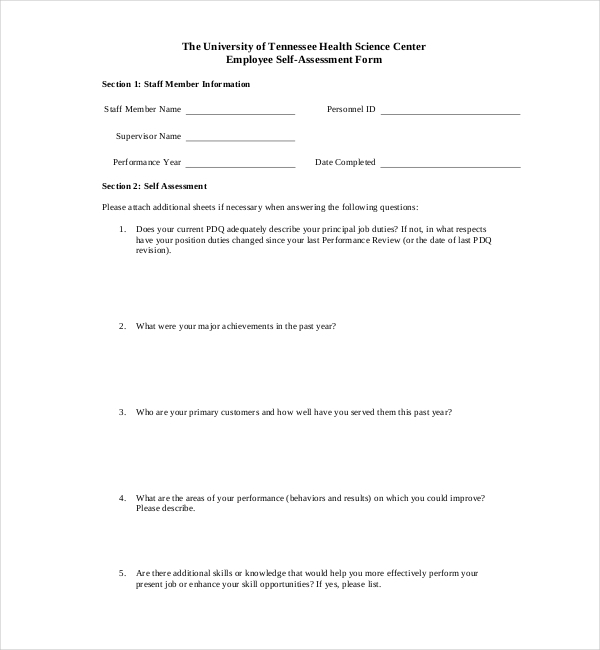 The self assessment forms allow the manager or the teacher in charge get a conclusive report on their performance and entails the added benefit of feedback. The forms allow the immediate intervention if there is a requirement of change in the course plan or strategy. The regular feedback with self assessment forms help to devise the most efficient strategy for achieving and exploring the maximum potential of students and employees and clear any the doubts if there exist any.